Winter storm Jonas is expected to hit the Harrisburg area tomorrow evening. It is estimated the storm will last 24 hours and bring 12 inches of snow to the area. Weather.com reports the storm will impact at least 15 states and over 73 million people. Currently parts of Washington D.C., Baltimore, and New York City are under a blizzard watch for the duration of the storm. The National Weather Service in State College has also issued a winter storm warning beginning 7:00 p.m. Friday until 7:00 a.m. on Sunday. Snow accumulations could be anywhere from 6 to 16 inches and wind gusts could reach up to 30 mph. Pennsylvania Governor Tom Wolf has declared a state of emergency to ensure a timely and resourceful response to the storm. Vice President for Operations, Kathie Shafer, issued a mass email to students and faculty with information regarding the weekend storm. 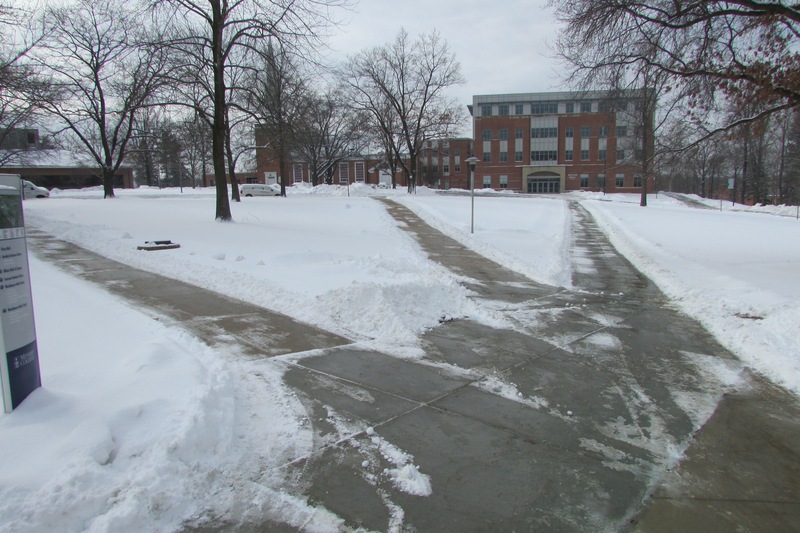 Limited staff members will plow campus Friday night after two inches of snow is on the ground. Beginning Saturday morning the full staff will work through the duration of the storm. Shafer advises to avoid traveling, whether from campus or to campus unless necessary. Students with cars on campus should dig out and clean their cars once the storm ends. There will be a final cleanup of campus on Sunday to prepare for classes and other activities on Monday. In the mean time students should prepare snow scrappers and shovels for their cars. There are a limited number of shovels available at Dispatch in Eisenhower. Grounds, Facility Services and Safety teams will not be available to help students clear their cars. On-campus events on Friday will remain as scheduled. Updates will be posted on specific event websites and social media. Information taken from the Governor’s Press Office, weather.com, and the National Weather Service in State College.